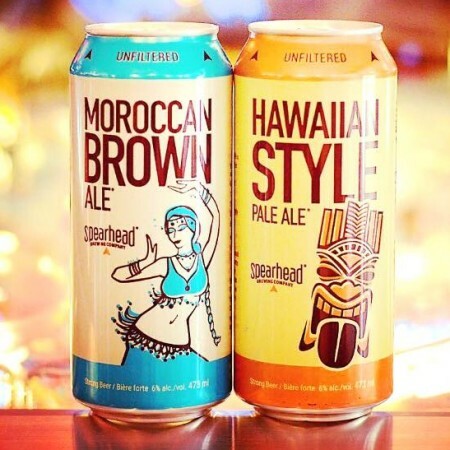 TORONTO, ON – Spearhead Brewing has announced that two of its core brands have shifted from bottles to cans for retail and licensee sales. Hawaiian Style Pale Ale and Moroccan Brown Ale are now available in 473 ml tall cans, a move that Spearhead president Josh Hayter says was driven by industry and consumer trends, as well as the better ability of cans to protect beer from light and air. Cans of the two brands started rolling out last month, and are available now at LCBO locations, licensed grocery stores, and select bars and restaurants throughout Ontario.